Our children misbehave. They act juvenile. They scream, yell, tantrum and sometimes even, heaven forbid, steal. They fail their classes, bully others, even, say a choice curse or two. What do we typically do in response? We become stark, raving mad. We ground them for life. We curse, cry, guilt-trip and shame. In short, we lose it. The truth of the matter is this – our children ARE, at some point or another (or many points depending on the kind of child we have) going to do something completely despicable, unworthy, untrustworthy, downright sneaky and mean. Just when you believe you have taught them the values of generosity and kindness, you find them backhandedly grabbing a cookie off their friend’s plate or saying the nastiest thing to their sibling. Just when you believe you have raised an angel, you find that your angel has been lying to you about their homework and actually has not turned in a single assignment all semester. Parenthood is filled with such hair-raising moments – where the only two choices we believe we have are to scream or …to scream. So how are we supposed to react when our children turn into monsters? Should we let them run amuck and ruin their lives in the spirit of letting them live their “authentic lives?” Where is the line between “free spirit” and “toe the line?” In short, where is the line between inculcating authenticity and containment? Many misunderstand conscious parenting to mean that we let our children be whoever it is they wish to be and let them express themselves any which way they desire. To simplify conscious parenting to such a one-dimensional message would mean to strip it of its essence. Conscious parenting does indeed advocate allowing our children to express their inner voice – but it does not suggest we have no influence over how or when they choose to do so. Indeed, conscious parenting is very much about teaching our children how to contain their inner impulses and find the appropriate ways of expressing their authentic natures. In essence, conscious parenting is always grounded in reality, always aware that our children need to learn boundaries and respect of others, and even, swallow their will once in a while for the greater good of the collective. Teaching our children discipline, or containment then, is vital to the process of conscious parenting. Doing this well, however, is the hard challenge. When our children frustrate us to the point of no return or behave in an absolutely unconscionable manner our first reaction is to take things very personally. We yell, scream, curse and control. We dominate, punish, threaten and intimidate. We do everything in our power to get our children to toe the line and come under our influence. This is our first mistake: We get our egos involved and take things to an extremely personal place. Once we are activated on this level, it is extremely hard to act with reason and balance. Instead, we need to realize: Our children are going to mess up whether we like it or not. This is not necessarily a reflection of our ability to parent as much as it is the fact that our children are human and therefore susceptible to major faux pas. Most importantly, their behaviors are a call to us to parent them differently. In essence, their behaviors are a call for us to step off our pedestals of egoic dominance and instead, enter into a state of soulful education. Containing our children has never been the problem. It is our emotionality that has. Our egos get hooked and we lose our ability to educate for the sake of education. We begin to project all sorts of emotions onto our children that were not theirs to bear, but instead ours to process and heal. It is here that we muddy the waters. If we were able to stay unemotional and simply teach our children the right way to behave, without drama, then we would have mastered the ability to contain our children the conscious way. “Giving them a consequence” -> Didn’t you use to say that this was a ridiculous notion to entertain, given that consequences are, at the end of the day, organic? Hi Jose, Thank you for your question. I mis-edited those two lines (they were not completed in contextualization and posted without editing). I do not condone it at all. The article has been edited since. Thank you for noticing and alerting us. Sometimes in all the writing I do, I inadvertently cut and paste from old blogs but this time, took those two lines out of context. Hello Shefali. Great article and explanation of conscious parenting. I also question your condoning “time-outs”. I would love for you to add a piece about “taking a toy away” or “giving” them a consequence, clarifying that a toy is taken away if they are using the toy inappropriately and consequences, if not occurring naturally, need to be logical and connected to the activities deserving of a consequence. Hi Cindy, I mis-edited those two lines (they were not completed in contextualization and posted without editing). I do not condone it at all. The article has been edited since. Thank you for noticing and alerting us. Sometimes in all the writing I do, I inadvertently cut and paste from old blogs but this time, took those two lines out of context. Much love!! This is so true. It’s taking me to be a grandmother in my 50’s and raising my grandson, who is now 16, to realize that I had been reacting from my ego. I’ve taken any misbehavior personally. I did it when I raised my own two children, too. I’ve been “working” on myself for decades, and have had such ingrainded beliefs on how children should be raised that its taken so long to see it differently. Trust me, I still need to reassess my thinking and watch my reactions on not taking the behaviors personally, and it is very challenging to say the least. Thank you for reinforcing what I need to learn. This resonated with me because I’ve done the emotional response to bad behaviour only to be isolated. Now, having a son of my own (3 yrs old), I am more willing to take a “time-out” for myself before discipline. 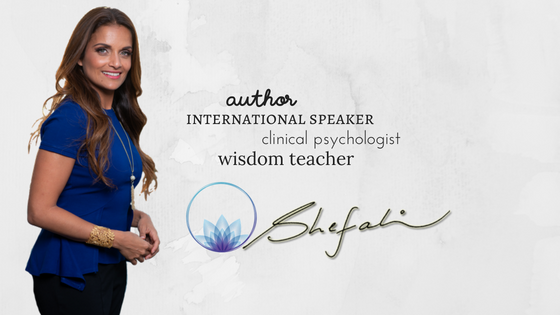 This is fabulous, Dr. Shefali. Having introduced Conscious Parenting to many parents recently, we frequently get some confusion about what conscious parenting actually is (connection, containment, awareness, attunement) and what it is not (permissiveness, anything-goes, etc.). Thanks for yet another clear explanation. We will be using this! Perfect timing. How do you practice teaching containment after a teen has done your examples and more? I seriously need your guidance. Thank you. If we would treat our own “innerchild” better and with love and care, we would treat the children better with more empathy and understandment for emotional rollercoastermoments. Selfeducating and a acknowleging ourselves who and how we are, would let us see and feel how important a good rolemodel for the children we shall be. With harshness children learn only harshness. With empathy and a gentle clearness they learn empathy and acceptence that we all are leaners.